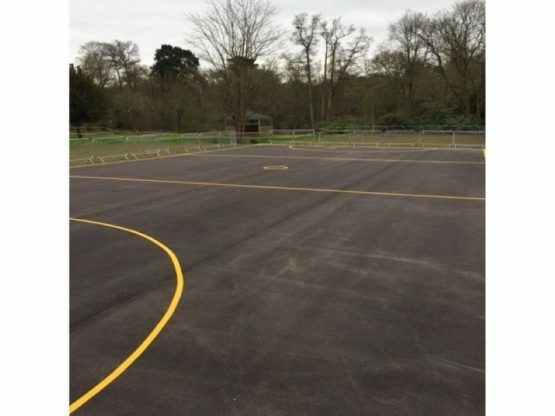 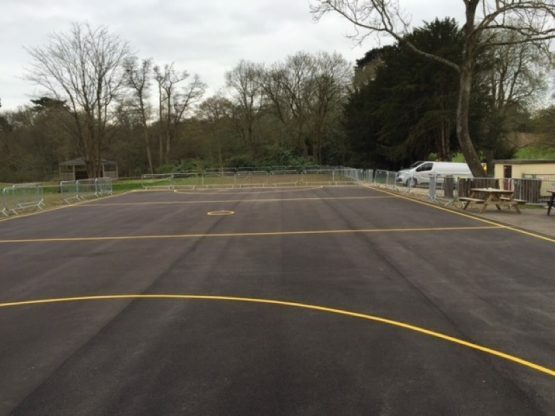 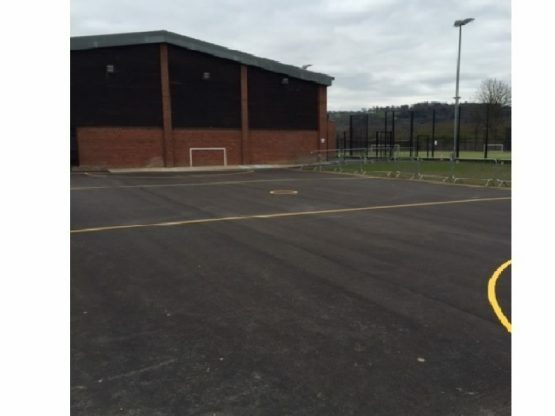 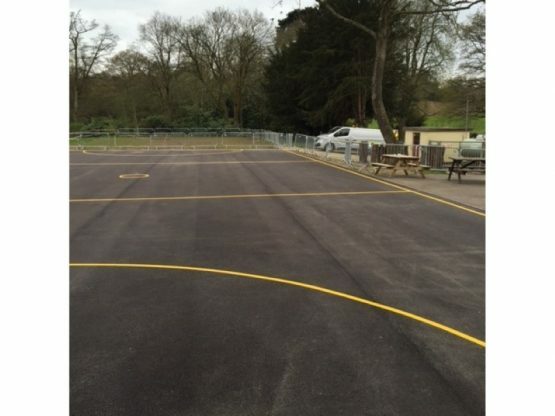 Liparoad Spray Paint material applied to a new tarmac surface to create a netball court. ‘the court will need 2 hours drying time after the markings have been completed so yes they can definitely use the court the following day. 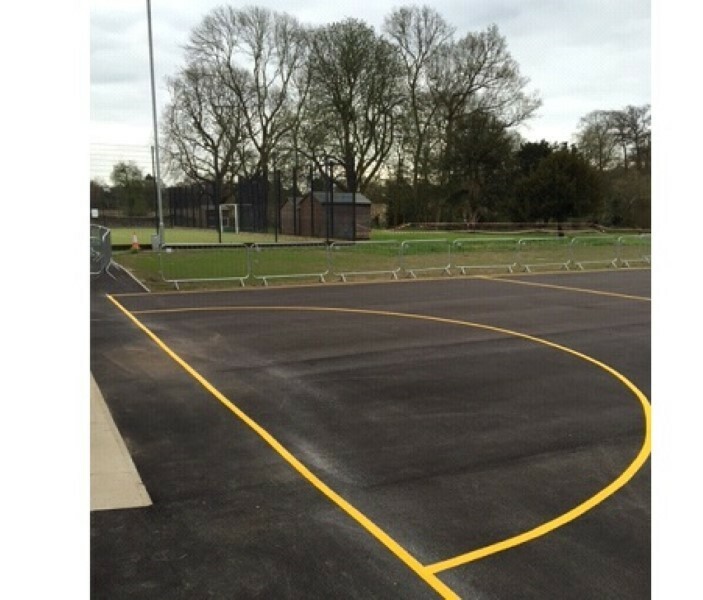 If you want advice on colours, materials available or a price for budget purposes please contact us. No job is too big or too small for Lewis Lining.